It may have seemed that I had disappeared into thin air for the last couple of months, but after Christmas/New Year, shopping for a new car, a new job and trying to get the garden back into shape, I’m back! 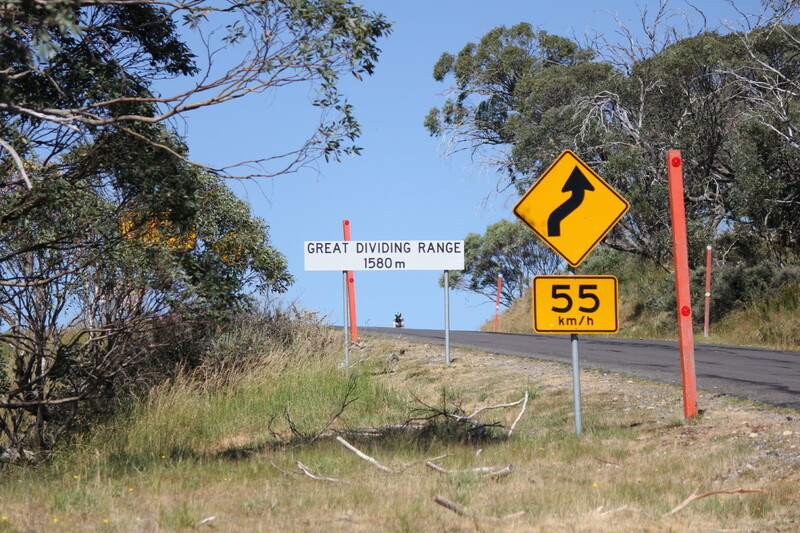 A few weeks back we made our way to the highest point on this continent/Island/The land down under/Australia/Home or whatever you want to call it. 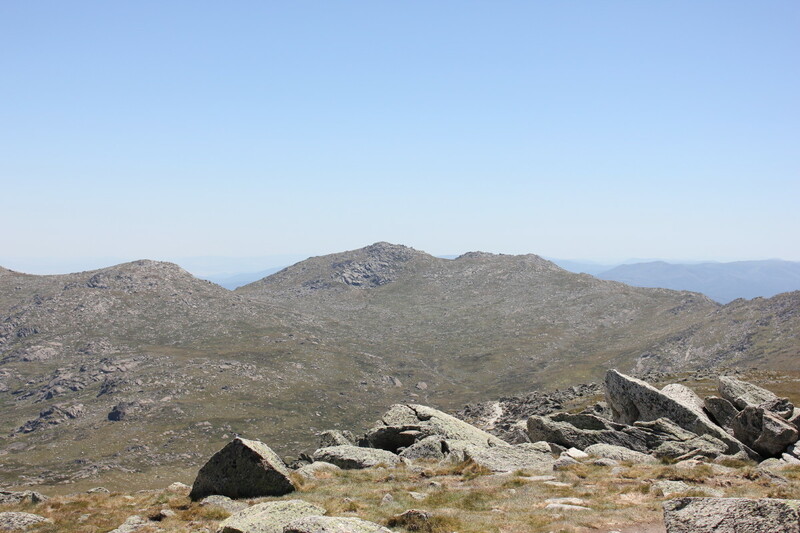 Mt Kosciuszko is 2228m tall and was named after the famous Polish freedom fighter. 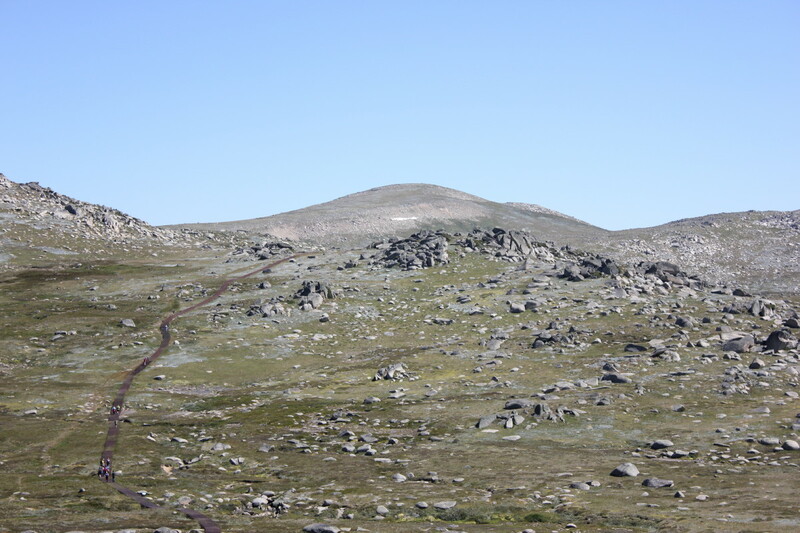 On the 15th of February 1840 the polish explore Paul Edmond Strzelecki ascended this mountain and named it. 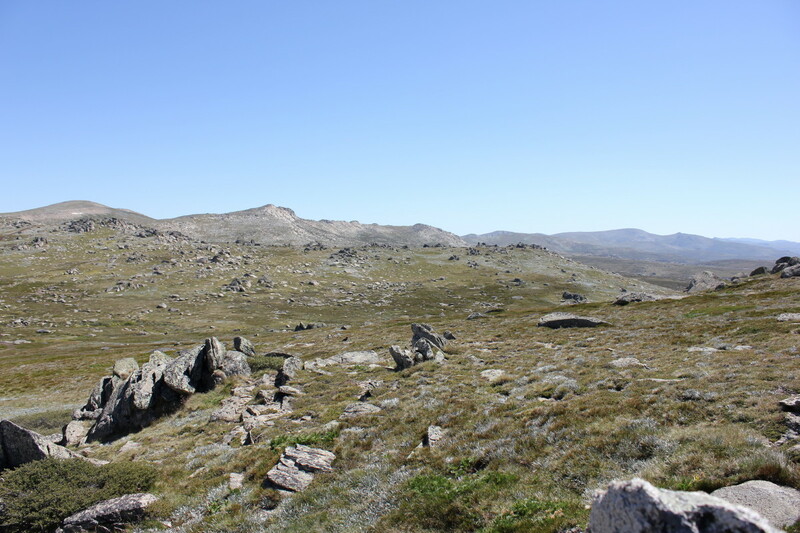 It is highly unlikely that he was the first person to do so because Aboriginals from different parts came here for thousands of years to feast on the Bogong moths that congregate here in summer. 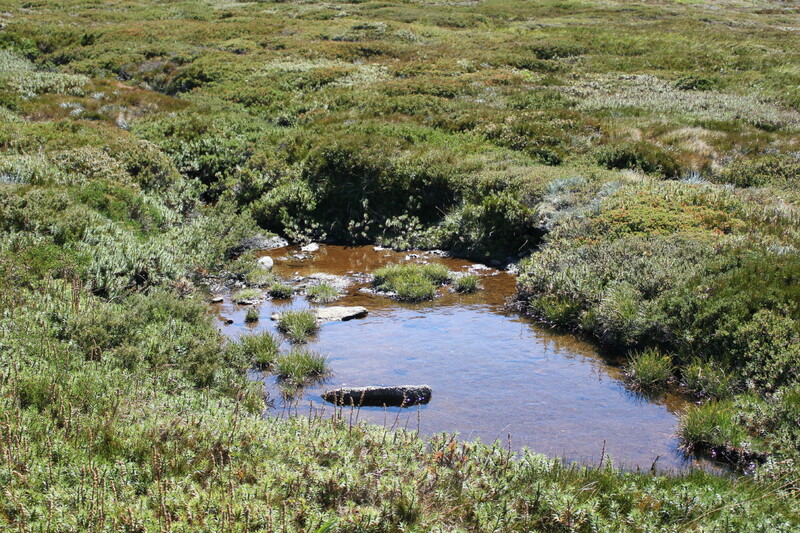 Stockmen also climbed in this area in the 1830’s looking for grazing land. 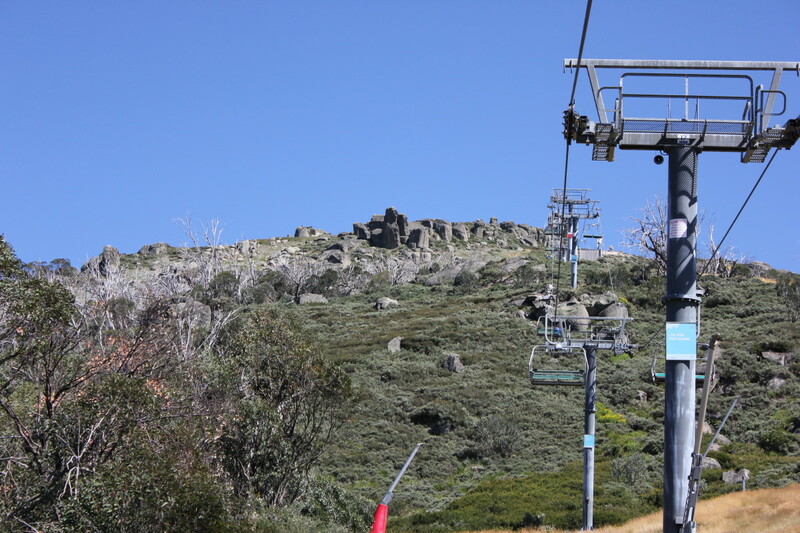 This is the easy way up from Thredbo before you start the 6.5km walk to the top. Well, here we stand contemplating the sign. 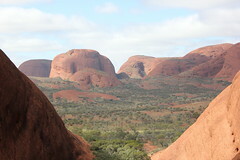 Do we go to the lookout or do we go all the way? Lets go all the way! 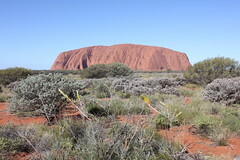 It’s a very interesting and spectacular place which is quite rocky and barren. 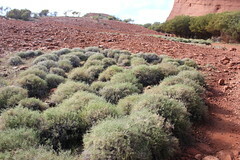 But when you look closely the plains are covered with alpine grasses and plants. 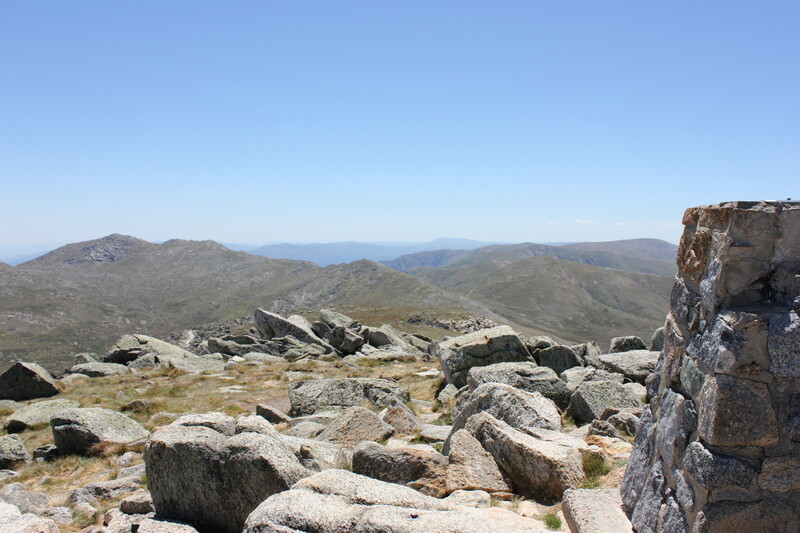 Mt Kosciuszko can be seen in the above photo. It’s the little bump behind the big bump. 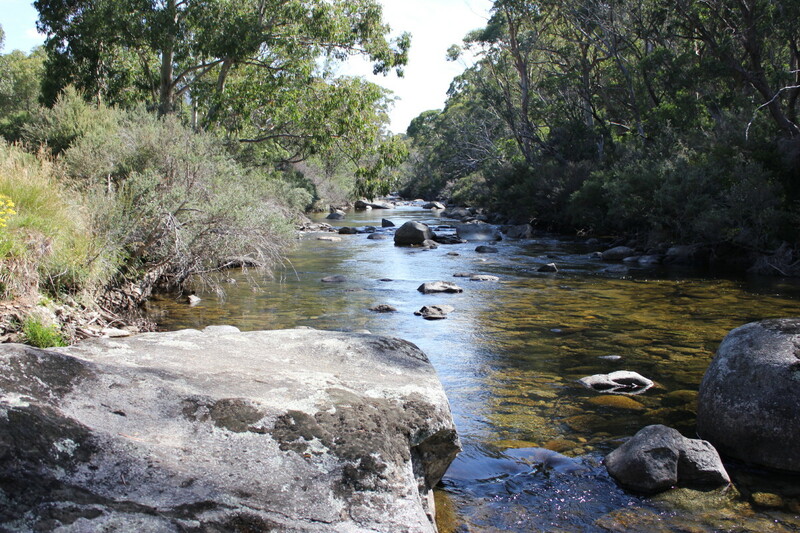 4.5km’s to go! 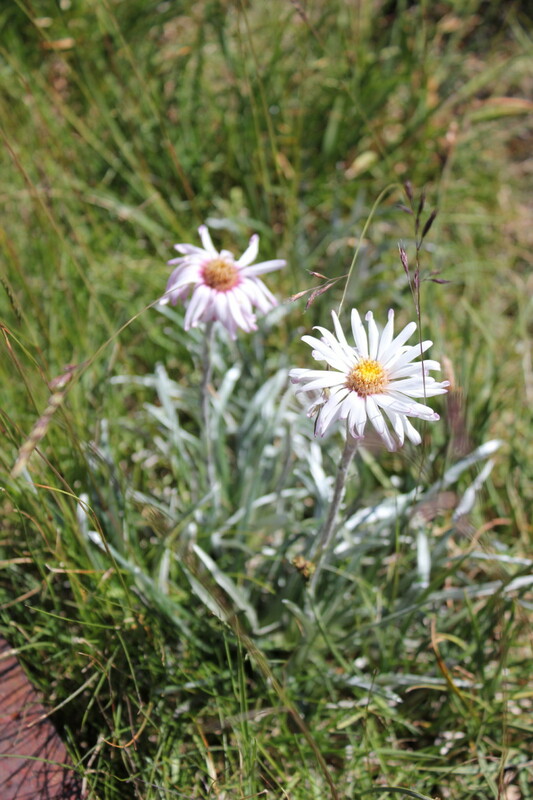 So you can see that plant life is quite abundant and typical of alpine climates, hugging the ground. 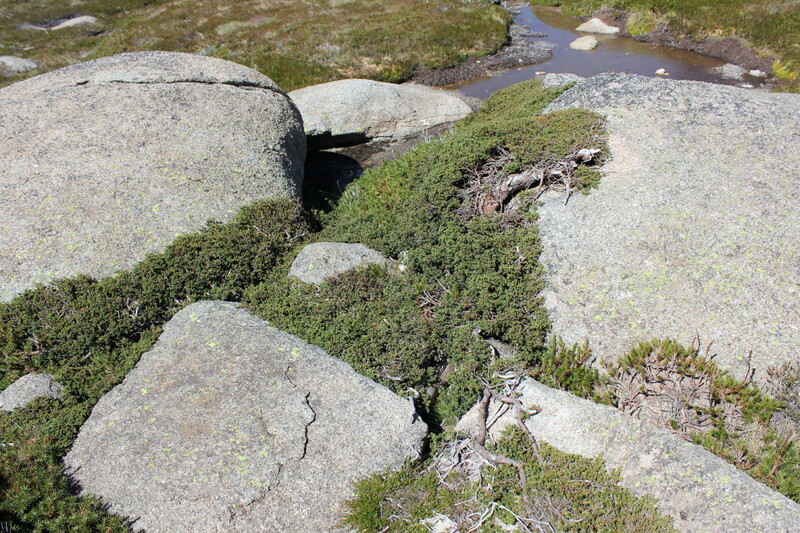 Look how this shrub is hugging the granite boulders. Almost creeping over them like a groundcover. 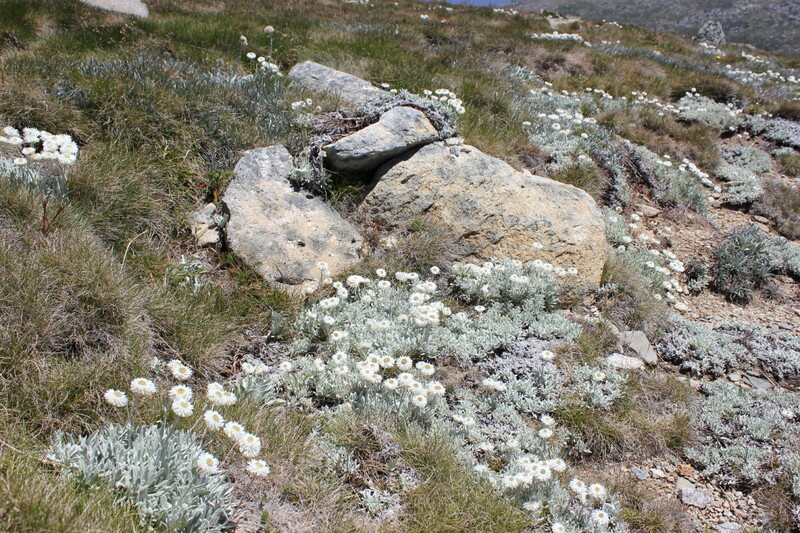 This may be the Alpine mint bush, Prostanthera cuneata. 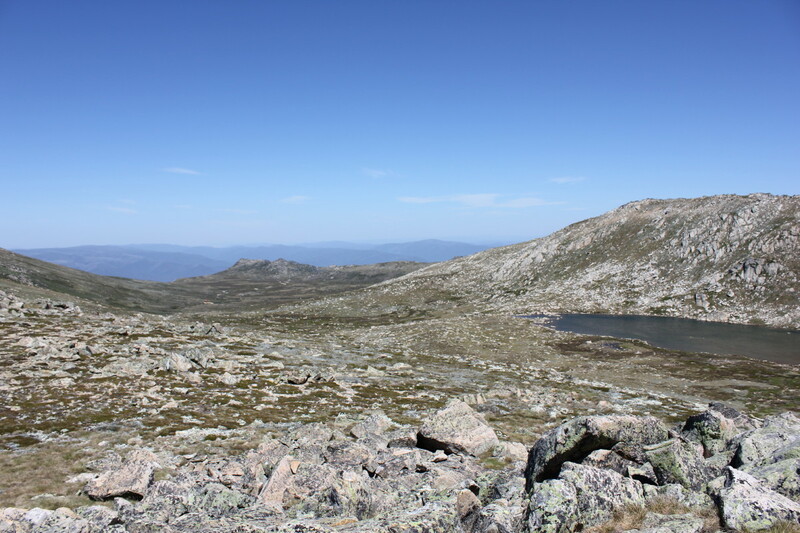 Here’s the highest lake in Australia, Lake Cootapatamba. 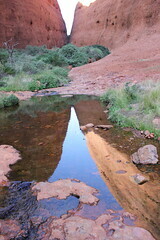 Only small but the highest. 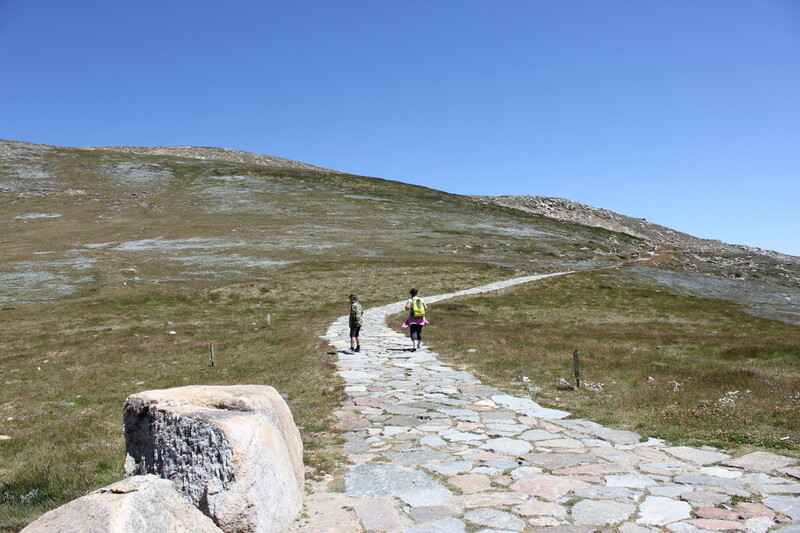 And the path go’s on and on and on and…. 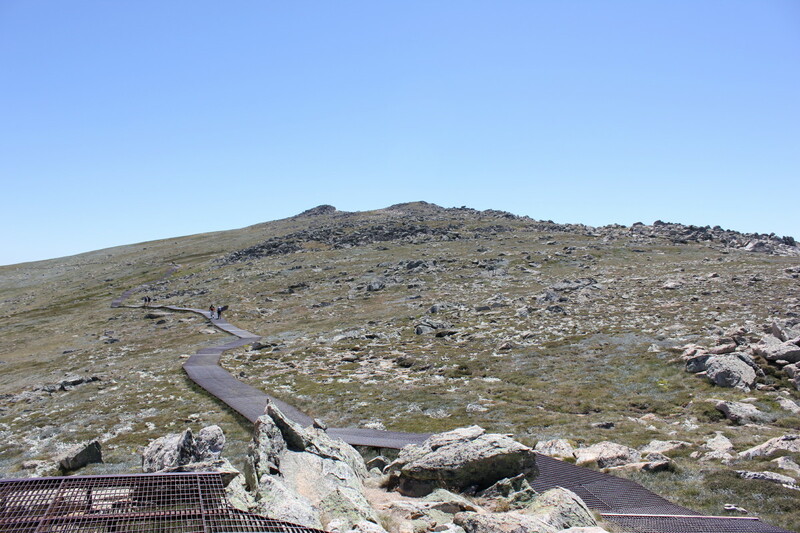 Notice how its a raised steel grid, this is to protect the delicate environment up here where literally thousands of people walk every year to get to the top. 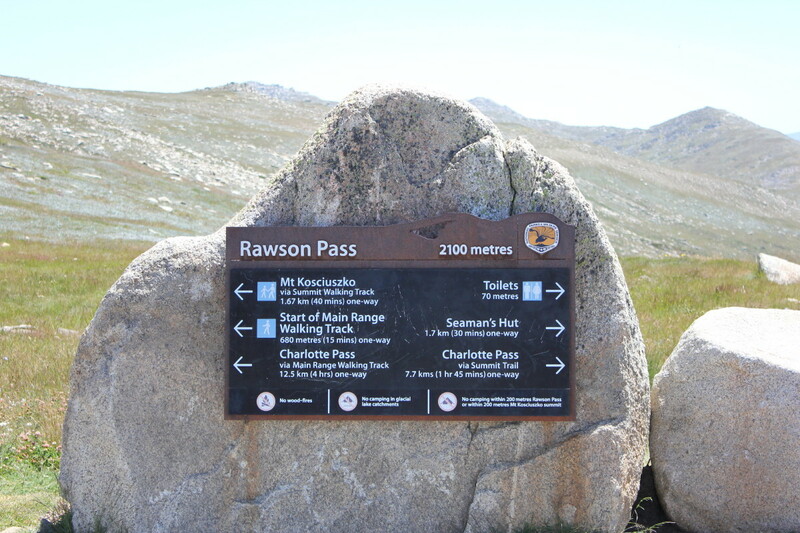 Rawson’s Pass, finish line nearly in site! Ah Yes! 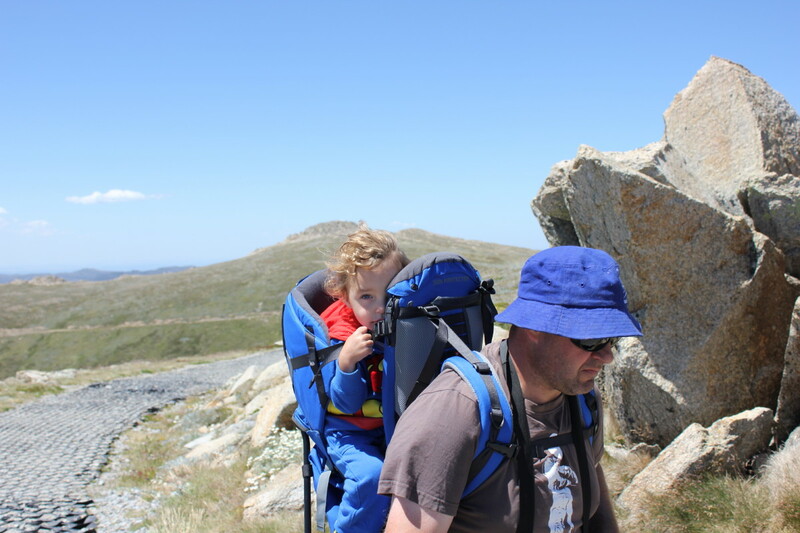 That’s me at the front looking enthralled while our youngest child enjoys the easy way up. 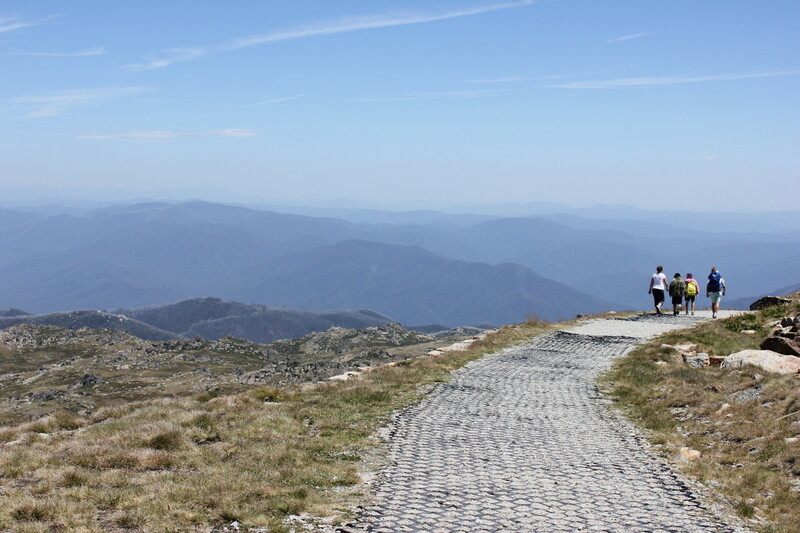 Here we are at the top, I know it’s not very high at 2228m but we can’t go any higher on this great southern land. 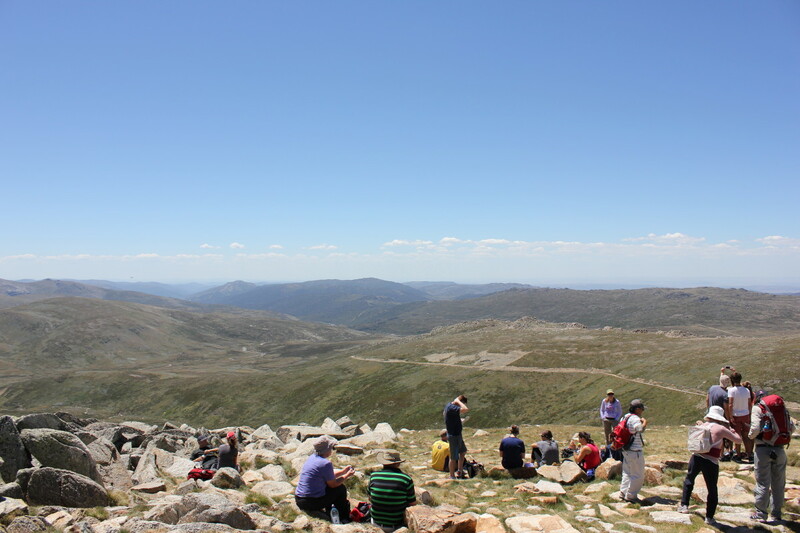 All the hordes of people at the top taking a breather, Charlotte pass track can be seen on the ridge. 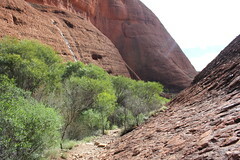 On the way down. I like how the hills just roll away in the distance. 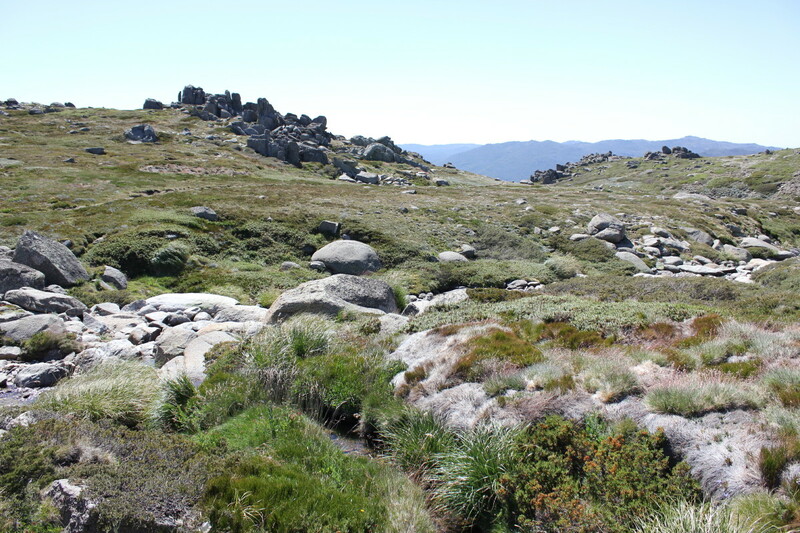 Black hill in the middle left of photo is where there was a bushfire in 2003. 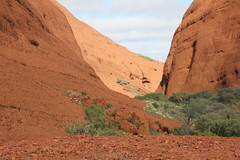 White trunks of dead gums left standing. 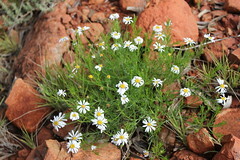 Here’s some wildflowers, this one is Chionogentias muelleriana subsp. 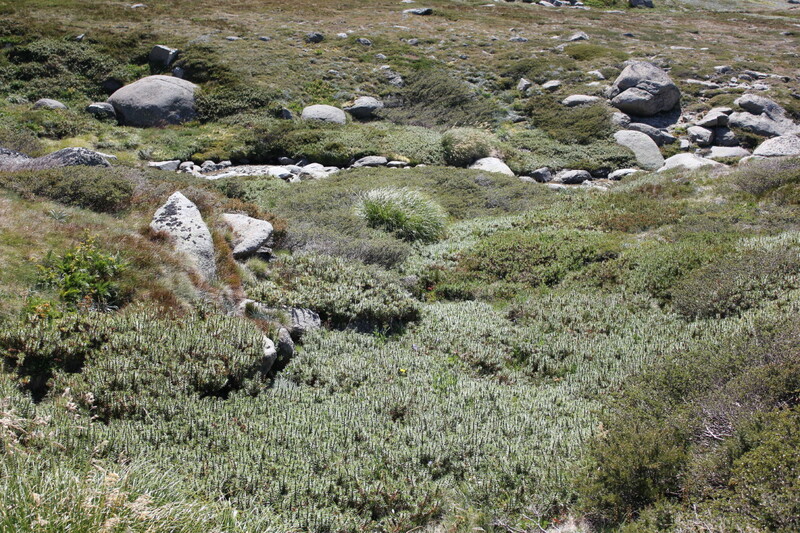 alpestris also known as the Mountain Gentian which only occurs here in the Kosciuszko National Park. 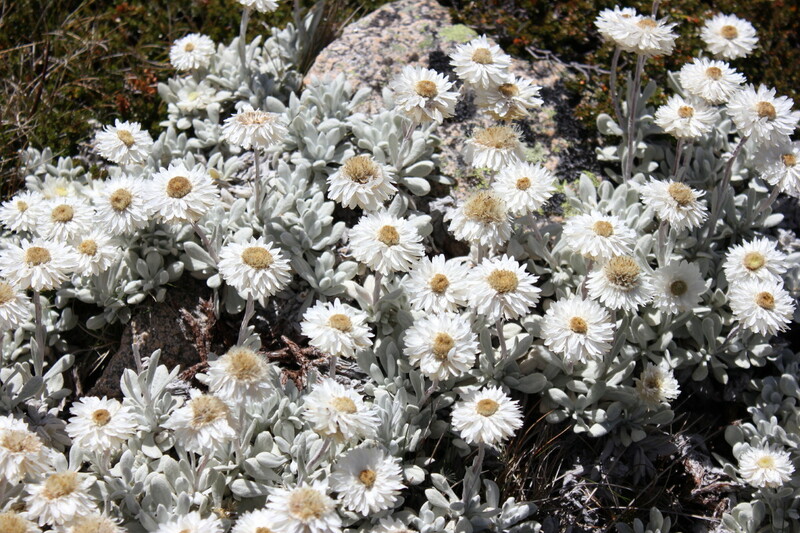 Above are Leucochrysum albicans subsp. 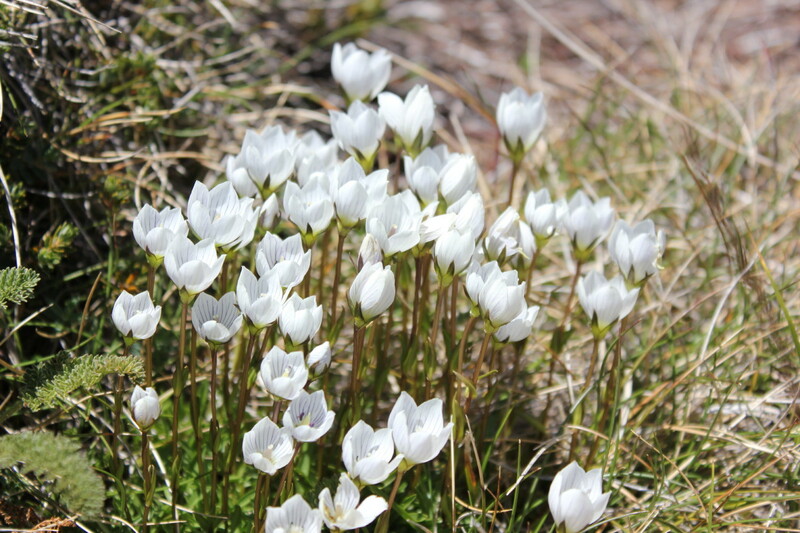 alpinum which are also known as Alpine Sunrays, these were quite prevalent the higher you got, beautiful! 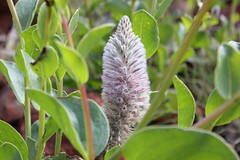 This is Celmisia longifolia, quite beautiful as well. 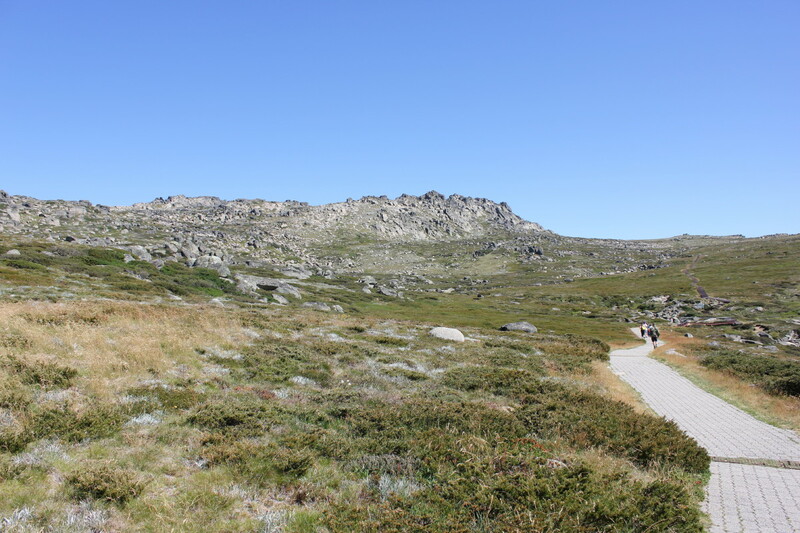 On the way back down across the plateau. 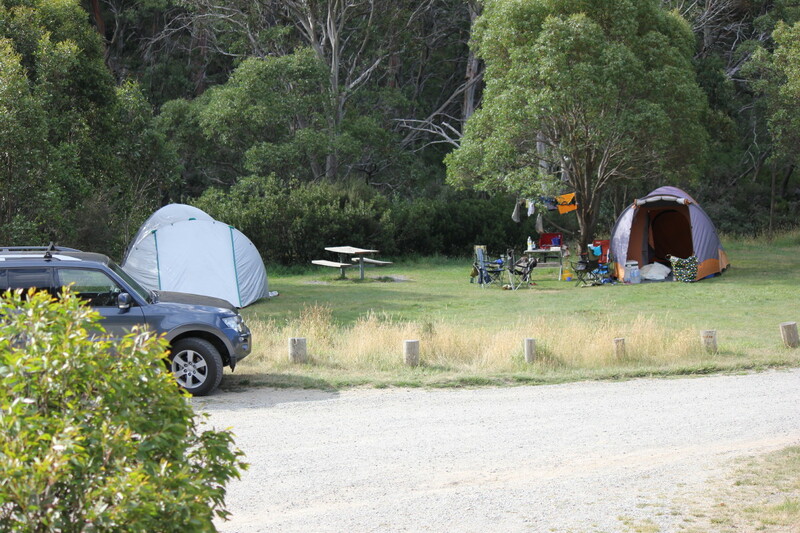 We camped the other side of Thredbo at a little campground called Ngarigo beside the Thredbo River, quite beautiful serene and peaceful. 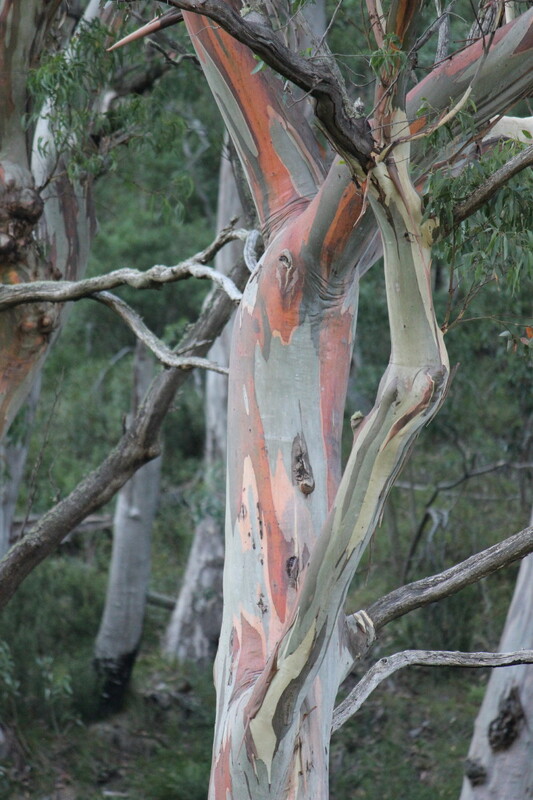 Here’s a gum tree with quite remarkable trunk colour. 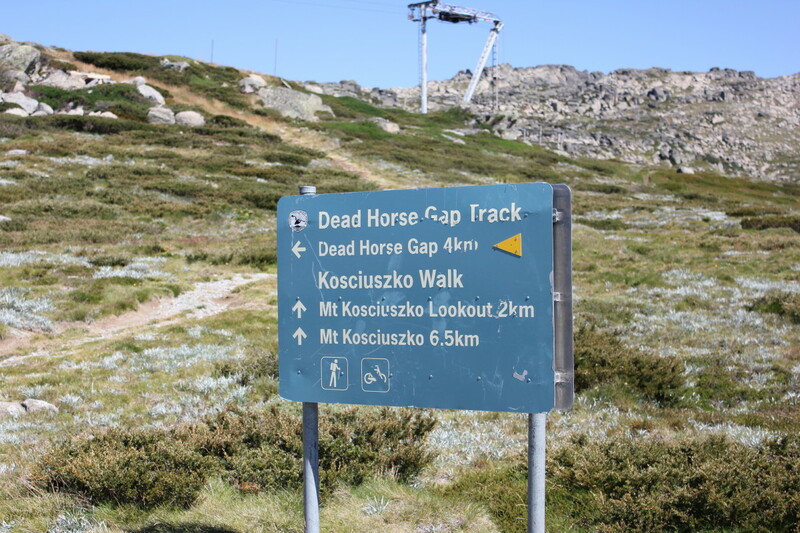 Anyone who know’s about Australian folklore will know about Brumbies(wild horses basically) and on the way home not far from Thredbo is Dead Horse Gap which is a well-known sighting spot of Brumbies. 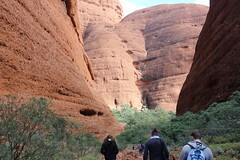 This is what we saw! There was a pure black one as well but he wasn’t co-operating with me. Ah well! 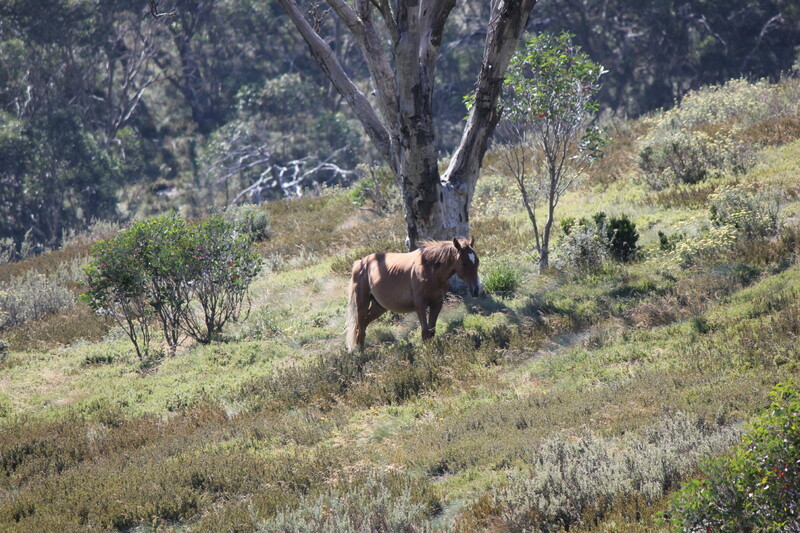 Time to go home….